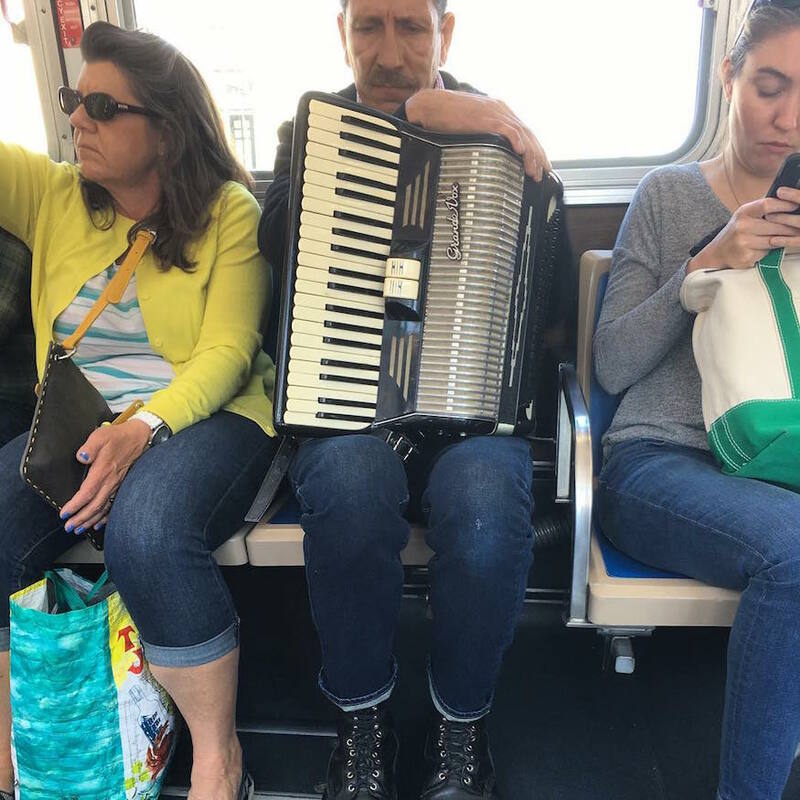 This accordion player’s furrowed brows and thoughtful face really intrigued us when @mike3k snapped his photo on Instagram. Then, proving that the Internet is not all bad and that people are still all right, our Instagram commenters soon revealed that this man is “accordion extraordinaire” ILhan Sadri. That picture was taken on the 43 while on my way to UCSF hospital to visit a dear friend. He had just had major heart surgery and what looks like an unpleasant grimace on my face is actually the face of an intensely worried person! I thought marching into a hospital room wearing accordion would cheer him up. It worked. 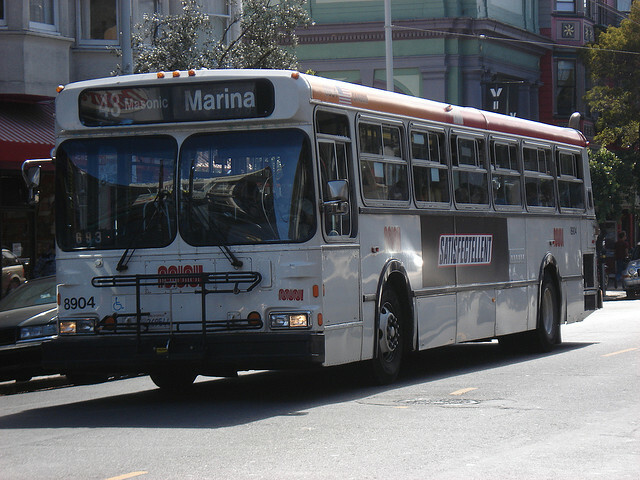 Who needs 311 when you can gripe about Muni old-school-style? 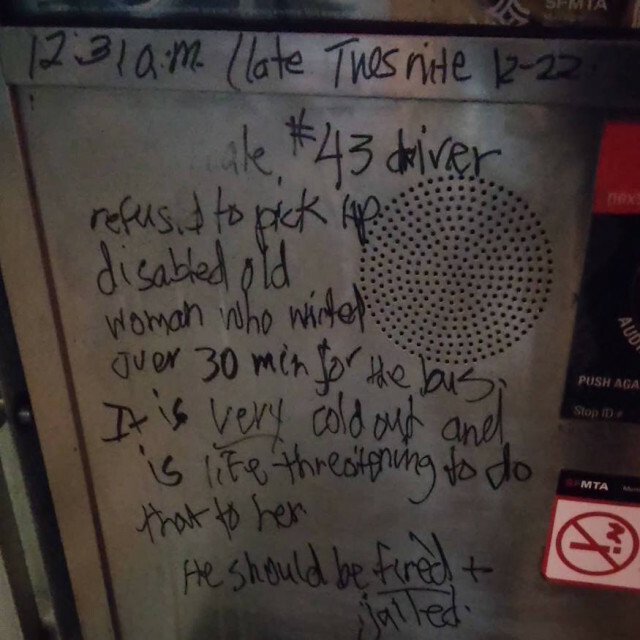 I too would be livid to see this happen to a disabled old woman. Hope she got home OK.
You’re not allowed to disagree, either. The weirdest noise interrupted my immersed state. I turned around and saw a man and two women running downright towards the front part of the bus. And what I saw then was embarrassing for basically every commuter in this bus: In the last row a guy just emptied his entire stomach. And obviously he hit a huge area of the windows, the seats and the floor. But worst of all, he hit those three people who just escaped. Time of day matters, here, but. Too many appletinis? Basically, DIY terrariums are so last week. 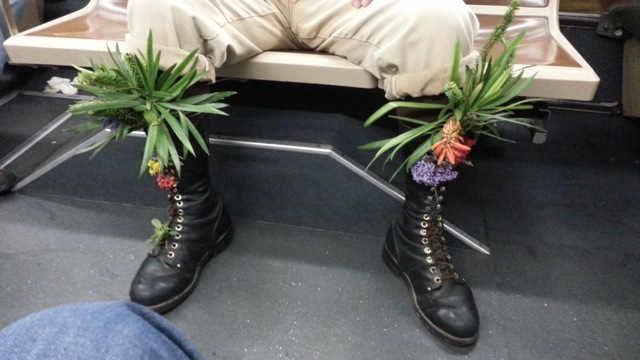 “Botanical boots…upcoming trend?” asks submitter @boZannical—interestingly, a self-described gardener and urban ecologist. You heard it here first, via this photo from the 43-Masonic. 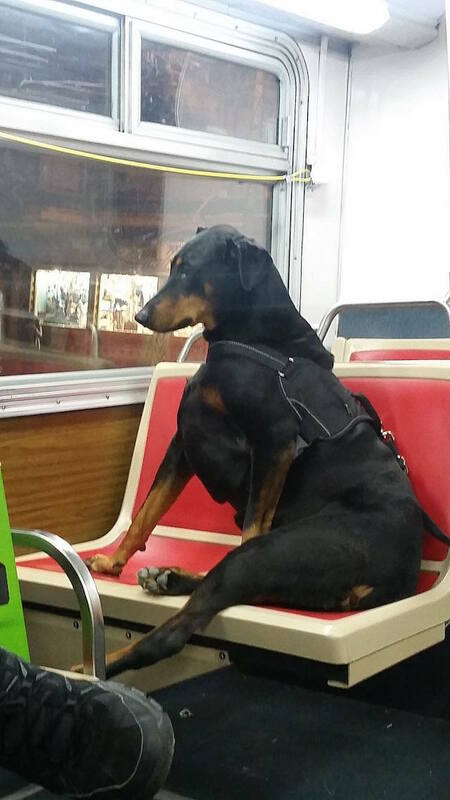 Don’t be so quick to dismiss trends on city transit. Thanks to you guys, we discovered the bold new way to handle male-pattern baldness, and cat on a backpack, which never goes out of style. 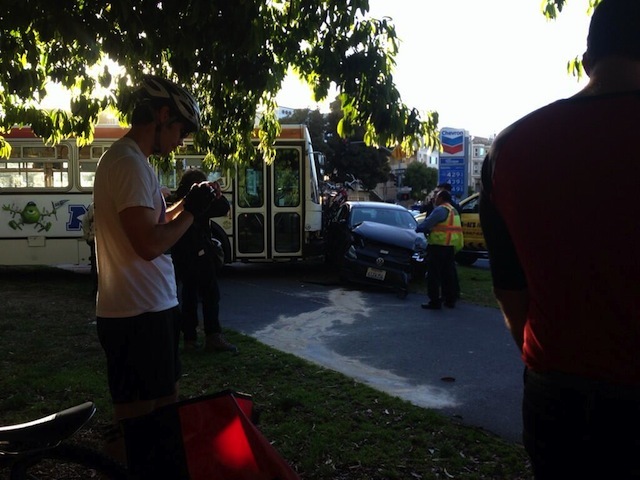 Update (Friday, 8:43 a.m.): KTVU and SF Weekly reports that a passenger on the bus helped stop it after it had dragged the car for some time. KTVU tracked down the “cool-headed” passenger, Frank Primus, who was sitting in the rear of the runaway bus. Primus says when he realized the bus wasn’t actually stopping after hitting the Jetta, he dashed up to the driver seat, and put his foot on the brake. “I realized we were headed toward Fell and the bus wasn’t stopping, the guy wasn’t stopping the bus,” Primus told KTVU. Cyclists were jumping out of the path of the moving bus, which barely dodged oncoming traffic.